Alternative titles to this post: do not ever use UPS! Or CottonBabies is the best! 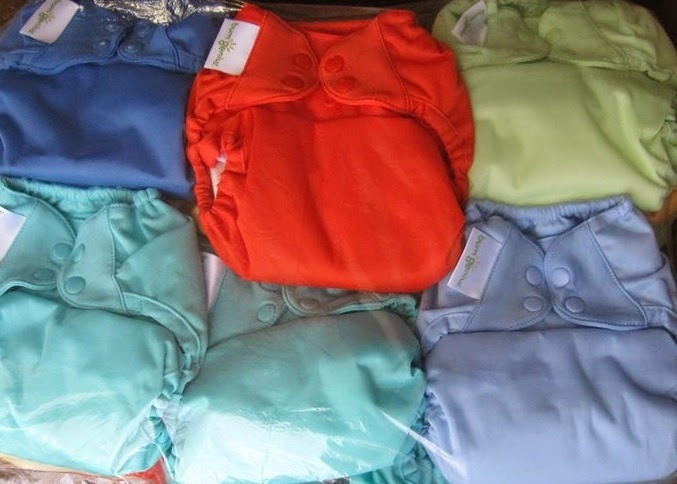 Anyhow, last November while I went crazy reading everything about cloth diapers, and after having finally decided what we were going to do I found out that CottonBabies had a pretty nice deal on their BumGenius diapers for CyberMonday. As it happened, my brother and my sister-in-law were visiting the US at the time and they asked us if we needed anything. One of my closest friends happens to live there and so, realizing that we were going to pay EUR 13.5 per diaper, instead of EUR 24 per diaper, the decision was a no-brainer. For the 24 diapers that we wanted we saved a total of 250 EUR . Not a neglectable quantity at all (specially if you consider that with that amount we got the crib, the mattrass, the moses basket and its mattrass). Anyhow, because we ordered our diapers before 14:00 on a Monday, we (well, my friend) was supposed to get them by that Thursday, or Friday, at the latest, considering a worst-case-scenario delay of a day. My brother and SIL were going to be staying in the US until the next Monday, and they were meeting my friend on Sunday, so there was plenty of time. The idea was that my brother and SIL would bring the diapers back to Mexico, and then my mom and dad would bring them to us in February when they came to see our baby. A perfect plan, no? Well in comes UPS to completely mess up and throw the whole plan to the drain. You see, CottonBabies offers free shipping (within the USA) with every order, and orders placed before 14:00 EST ship the same day. If you want your stuff faster there is an Express option in which orders are guaranteed to arrive within three business days from the date of shipment. This option is fulfilled by UPS 3-day select, in which the delivery is done by the end of the third business day. Well, you know where this is going. First of all, our order did not ship on the Monday we ordered (as it should have because we ordered around 11:00 EST), but on Tuesday. Even so, with the Express shipment the company guaranteed that the diapers would be delivered by Friday, so, no problem. Well, yes problem. UPS simply did not comply with their conditions, blaming there were many orders going around the country because of the Black Friday deals. Fine then, but then, as a company, wouldn't you make sure that the order is still fulfilled within the chosen, guaranteed conditions? As soon as we knew the order did not arrive on Friday, we contacted UPS. After going through a long answering machine and speaking to a computer we finally get to talk to someone, who had no idea where our package was, could not do anything about it, would just say sorry but not fix anything and informed us that the package would be delivered by the end of the day on Monday (which it was, but, by then, my brother and SIL were already on their way back to Mexico). We could not get a refund or any kind of compensation from them, no matter how hard we tried. Anyhow, deep breaths. How were we going to fix this? After thinking long and hard we decided to ship the diapers to Mexico via UPS standard, instead of normal post, because once a package crosses the border the post can take forever to deliver a simple letter and it is not rare that stuff just simply disappears. (Shipping the diapers to Europe either by USPS or other carrier would have been way more expensive). When you ship from the the U.S. to Mexico, customs clearance by UPS is required, but the cost includes routine customs clearance. The shipment was accepted, and even though this solution meant we were spending 60 USD more than we were planning to, we'd still be saving money in comparison to the price of the diapers in Holland, and the diapers were on its way. I love to track packages, to see all the random places where a box stops on its way to their recipient. That's how I found out, quite early, that something weird must have happened because at some point the package, although already in Mexico, was on its way back to the shipper. 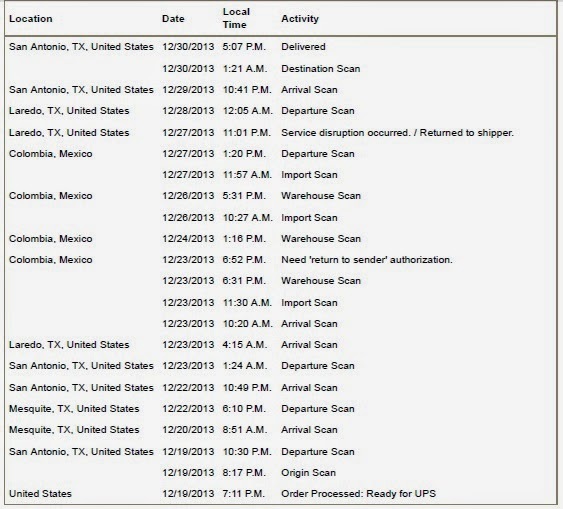 To make a long story short, Mexico did not accept the package. We never got a clear answer on this, no matter how much we pushed the people at customer service, but from reading around it seems that our diapers did not clear customs because all clothing coming from the USA is assumed to be made in China and Mexico recently decided to impose high anti-dumping quotas (which range in 500%) on Chinese Origin goods. (Never mind the fact that BumGenius Elementals are fully made in USA, with local materials.) Within a few days the package was back at my friends' where it had started. And we still did not know how on Earth we were going to get them because we really did not want to pay >100 USD to have them shipped to Europe and then pay taxes over everything. We sent the longest complaint ever to UPS... and after days and days of emailing back and forth, it turned out that although UPS made a mistake in accepting the package from the start (because they act as a broker, they should have known that the shipment was going to be refused due to Mexican regulations), they could not -as a company- do anything about it. Instead they instructed us to process the complaint further at the specific UPS shop from where the parcel was shipped. My friend went to Mexico in March, but she was not able to bring the diapers with her. An uncle of hers was planning to visit her, and offered to bring the diapers to Mexico, but he ended up cancelling his trip. In the end, it was my friends' kind sister who brought the diapers to my parents, and they sit there, waiting for us. In the meantime, we did contact Cotton Babies about the whole issue (because if the order had arrived that Thursday in the first place, none of this would ever have happened). We are impressed. They have the nicest, friendliest, kindest staff ever. I did not even have to fight for anything. I did not have to send a million and one emails to get our case escalated to someone with the capacity to make decisions. I simply explained what had happened and how inconvenient it all had been, and they not only immediately refunded us the total amount that we paid for shipping, but they gave us a 20 USD coupon in compensation as well. All you have to do to enter is leave a comment telling me your first childhood memory or other fun story from back in the day, and fill in your participation in the box below. For an extra entry, you can tweet about the giveaway and fill it in as well. The giveaway will be open until next Wednesday, May 14 at 3:00 P.M Amsterdam time, when I will choose a random winner. I will announce it on Thursday May 15, so be sure to come back and check if you won! This is NOT a sponsored post. I am only writing about my experience and I am giving away the coupon I received from CottonBabies as compensation for the whole epic journey that our diapers went through. (I blog at http://www.melanieandbrad.blogspot.com) (Well, blogged. I haven't written in awhile). Oh, this bring memories... my brother and I would team up to torture my poor little sister. We would wake up early, dress her up in all kinds of weird rocker outfits, put gel all over her hair, have her learn choreographies and present them to whomever would watch her. I actually read your posts way back, when you wrote about your journey. I hope you 3 are all doing well. OMG what a saga! 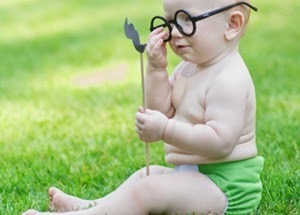 I hope you get your diapers soon! One of my earliest childhood memories was helping the doctors/nurses fold gauze for bandages during my long stay in the hospital where I was getting surgery. My mom was there with me, and we spent over a month in the hospital. I was almost 4 years old. Yup, pretty soon, I can't wait to use them and have been reading your experiences (on how to prep them, etc, over and over again). Wow, that sounds scary, though, the medical side in me, thinks a bit fun. At the same time it seems that you have somewhat fond memories of it? Que divertido eso del riachuelo... me recuerda una historia parecida, estábamos de vacaciones y como todo niño a las seis de la mañana ya estaba lista en traje de baño. Mi hermano seguía en piyama, pero me siguió a la alberca, para empujarme, por supuesto. No sé como coordine hacerme a un lado y el con el vuelo que traía acabó saltando él mismo... con todo y ropa. Muy divertido. Oh my gosh, what a crazy story!! I'm glad you got it figured out in the end. When are you going to Mexico? Or are your parents coming back to visit you? I remember talking to you about that sale when your purchased them, but I couldn't buy them because I don't have an US address - maybe it's good that I didn't! haha! I guess if you are close enough, have someone, it could have worked, I just can't believe something apparently simple got this complicated. Oh no! How awful! Funny story from my childhood: My brother (six years younger than me) once barged in on me in the bathroom. He was probably about 4 at the time. Of course, I yelled at him to go away. "Can't I just have a little privacy?!" So he toddled over to the master bathroom, where my mother was and poked his head in to ask her: "Do you have any privacy? L. wants some." Hahahaha this is so funny! When I was about 4, my mother had 3 daughters (I was the eldest and the youngest was an infant). Emily, the middle sister, rarely spoke, but always did what I said. One day when we were supposed to be napping, I convinced Emily to ride "bikes" (tricycles) with me. She solemnly, wordlessly brought me her sandals, and watched me carefully as I buckled them up for her. Bottom line: It was kind of stormy; Mom was not pleased; it was the first of MANY times I got Em in trouble with my schemes. Sounds like fun times tough! I remember making my little sister do stuff as fast as possible by telling her she needed to break her own record and timing her, or promising her lollipops. That is funny that you remember taking a nap so precisely. I don't really remember when my little brother came from the hospital! Fun story, when my twin sister and I were about 4 our favorite book was "What Is a Butterfly". It had basic information on the transformation from egg to caterpillar to butterfly. It included cartoon illustrations of caterpillar eggs, little round brown balls. That summer we went to visit our grandparents farm and were SO excited to look for caterpillar eggs (they had chicken eggs, they should have caterpillar eggs, right?). The first day we got there we went to search our grandmother's vegetable garden for the eggs and found SO many of the little brown balls we were looking for. We filled our pockets and our hands and excitedly ran back to the house to show our grandparents. We were pretty crushed when they laughed, told to go wash our hands and informed that it was bunny poop. I remember my older sister taking my "My Little Ponies" and putting them on top of her tall dresser so I couldn't reach them. Haha! Hmm...first childhood memory? Being left at preschool & being terrified. Isn't that sad? :-/ Didn't help when it was time for my kids to go to preschool! I was about 8 years old and my grandmother was watching me. I wanted to do arts and crafts but could not find my scissors. I knew my parents had some very sharp scissors (they were surgical scissors) up high so I asked my grandmother to get them. Well I was at the bottom of my stairs cutting stuff up and set the scissors down behind me kind of propped up on a glue bottle. Well my cousin ran down the stairs and scared me so I jumped back...and sat on the scissors. An emergency room visit and 5 stitches in my bum later...I have a funny scar on my bum and a story for life lol. Lesson learned, when your parents tell you that you are not allowed to play with something....listen to them! I don't remember too many things from that long ago but I do remember my sister was spinning me around on a chair and I fell off, staples were put into my head that night! My dad leaving me at preschool and no one being there! I was terrified, but fortunately my teacher ended up being there! I played with jelly fish on vacation when I was 7 and they stung me to the point where I was itchy all over my skin. It eventually stopped hurting after 10 minutes. My earliest memories are of playing with baby dolls. My first childhood memory is of sitting in a car looking up at an orange street light. My dad was in the navy and we were waiting for his ship to come in. He'd been gone for months. I remember not knowing what he looked like. Trying to get his features in my mind. I was pretty young to have forgotten him in the year he was gone. I remember visiting Disneyland. I loved the It's a Small World ride. Earliest memory... Our family was visiting another family who attended the same church we did... I was probably 3 or 4 at the time and the family's youngest son (I think he was 12) amused us by putting a inside trashcan lid over his head and pretending to be an astronaut! My earliest (dated) memory was having chicken pox when my Mom was pregnant with my brother. I brought them home and since my mother had never had them she got them too! 10 years later we found out that having chicken pox does not make the baby you are pregnant with immune and my brother got them. I was 3 at the time - an odd first memory to have. I remember when my mom was pregnant with my sister (I was almost 4 when she was born) lying on the couch and talking to her tummy. The earliest memory I have is when I was either 3 or 4 and it was water day at my preschool, so I remember riding around on a tricycle through sprinklers and getting sprayed with hoses going down the slides. Ha ha. Must have been really fun to still remember it! Driving over the bridge at night to see my dad. I could see the lights in a Kmart parking lot... but had to quickly pretend to be asleep so my mom would carry me inside. My earliest memory is going to a Sesame Street Live show with my dad when I was 2 or 3. My first memory would be when I was in preschool which was part of church. I'm not sure, but I think we were there for church but down in the preschool/Sunday school rooms. I looked out the window and saw my parents and brother walking to the car. I thought they were leaving me. I became inconsolable. The teacher even offered me a cookie but I declined. My parents were really taking my brother to the car to change his diaper. I remember my first day at preschool, and my first draw!! I remember my parents bringing my little brother home from the hospital - he was so little! Haha - I don't really remember much! I used to love going through my Grandma's stuff when I was about 4 though. I asked my mom for a drink, and she didn't understand what I was saying. So my older sister had to come in and interpret. My first memory is riding my dad's shoe around the house while he was wearing it. I might have been 3 or 4. Family vacation at Acapulco and eating pasta as it was the only place it was made!. My earliest memory is leaning on the pool fence in the summer heat wanting to go swimming. I can remember spending the night at my grandparents and always having popcorn and 7-up with grandpa before bed. I can remember while I was there the first time my grandma praying and singing me Twinkle Twinkle Little Star tucking me to bed. My dad singing my song at the top of his lungs on our way to "school"
One of my earliest memories is from when I was about 3 years old and somehow got gum all over me. My mom covered me in peanut butter from head to toe to try to get it off. I was standing naked, covered in peanut butter, in our kitchen when my uncle walked in the door...I'm sure it was not what he was expecting to see! I remember trashing my bottle when I was nearly one years old. One of my earliest memories is accidentally hitting my brother with a vacuum cleaner attachment and making him cry. I felt horrible! One of my most memorable early childhood memories was my first day of kindergarten. I did not want to go, so I hid in the car. When I was forced to go in, I kicked the teacher assistant. A childhood memory of mine, was hanging out with my niece- im 2 1/2 months older than her. She grew up as my sister, and still pretty much is. So many great times. I remember making Green Eggs and Ham (Dr. Seuss style) in Kindergarten. Too much fun! every summer we went camping and went swimming in a little creek... i ended up meeting my husband a few years ago and we settled down right near where i spent all my summers.. now my kids swim in the same creek! One of my first memories was traveling down to Fort Laurderdale and Miami with my sister and parents! The beach was beautiful! Taking a boat ride with my late grandpa. i can remember from about 5 years every summer we would go on vaca but one year when we were about to go on vacation we were out school shopping and me and my brothers were not very behaved and we didnt get to go on vacation that year and instead we had to do lots of out side work like cleaning the pig barn although this sounds like child labor it ended up being a great weekend we ate out in the garden and we all really bonded. and i think it was the next year we went to mexico and behaved during back to school shopping. I remember dancing in our giant 80s loft room while my mother played piano. More specifically, I remember spinning around in circles until I got so dizzy I fell down! I had a blast! I've always been really independent. Once at an amusement park, I put myself on a ride. I was about 4. My parents were in a panic until they saw me waving at them from up high! I remember being really little and my uncle lining my cousins and my self and my sister up sitting on the coffee table and feeding us yogurt and M&Ms. I also remember my easter when I was 2 and I got a rocking chair and a little shopping cart instead of a basket. I remember trying to "teach" my baby sister how to crawl when I was 2. I don't think it helped! Falling out of my wagon and skinning my knee! Lol! One of my earliest childhood memories was when I was playing outside barefoot (bad idea!) on my little bike and I cut my foot on some glass. I was being babysat and the lady babysitting me started freaking out which freaked me out. lol! I was fine. Just a little cut that healed on it's on. I remember falling out of the car when I was little. Just in a parking lot but it was still scary ! I remember being not quite 2, and sitting in a wooden high chair in only a diaper with half a huge watermelon in front of me. I thought it was the greatest thing ever, even the sticky juice running down my elbows. It has been posted! It's Ambyr (@AnUrbanMa). Thanks for playing the game! Anyone's got tips for traveling with babies? Temperature. Or, the concept of cold.